Some have speculated that this tumultuous presidential election may energize voters and boost turnout over prior election cycles. A recent Pew survey shows the highest level of voter interest we’ve seen in decades. If turnout does go up as a result, that would be a welcome reprieve from the 2014 elections. That cycle went down in history as the lowest mid-term voter turnout we’ve seen since WWII. 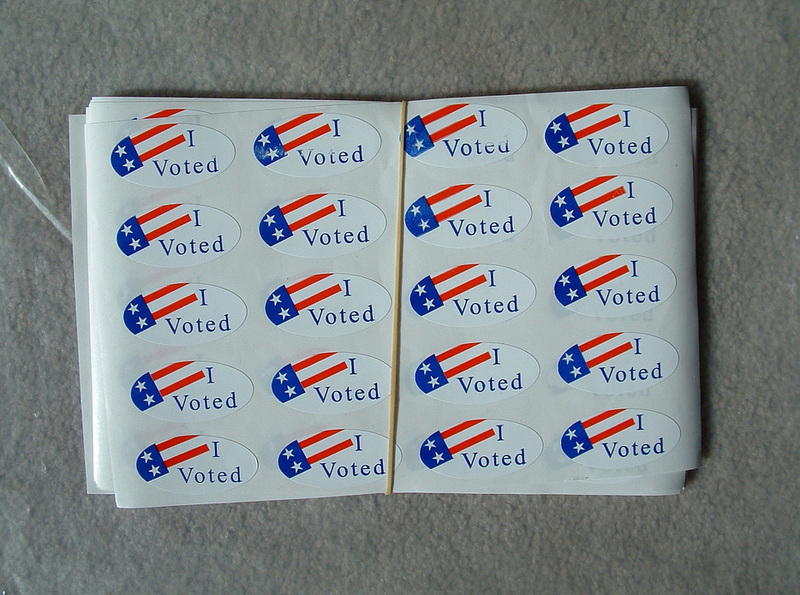 But here’s the real question: Does the overall level of voter turnout really matter? It does, of course, but perhaps not as much as we tend to think. I would assert that what matters far more are the gaps in voter turnout between different segments of the population: low- and high-income earners, those with college degrees and those without, younger and older voters, and so on. If all of these groups participated equally in elections, then even low-turnout elections would at least be representative of the broad public. But that’s not what happens. Instead, significant voter participation gaps skew the electorate. In the last presidential election year (2012), there was a 15-point gap in voter turnout between lower and higher-income households. Sixty-two percent of those with a household income of less than $50,000 turned out, compared to 77 percent of those living in households earning more than $75,000. There was a 21-point gap between younger and older voters. Forty-five percent of voters under the age of 30 turned out compared to 66 percent of those 30 or over. A similar gap was found between non-Hispanic white voters and Latino and Asian American voters. Those gaps tend to be worse in low-turnout elections. These gaps in voter participation alter our public debates and distort our democracy. Candidates and elected officials bypass communities that don’t vote, so their concerns—from abandoned, crime-ridden lots to decaying schools—get ignored in the process. Similarly, larger issues of equity and justice, the role of government, public health, and much more get short shrift when those most impacted aren’t voting. Some have sought to solve these challenges by making the process of voting easier with reforms like early voting, online registration, automatic voter registration and Election Day registration. However, research shows that while these reforms may increase overall turnout, they do little if anything to narrow the gaps in participation. So if it’s not public policies, what then is driving these participation gaps? One glaring clue is that participation gaps in large part reflect mobilization gaps—gaps between who is personally contacted about voting and who isn’t. In a 2014 poll of voters in particularly competitive congressional districts, the Pew Research Center found that voters over the age of 65 were almost twice as likely to be contacted by phone about the upcoming election than voters under 30. Other polls have found similar disparities in voter mobilization by race and income. In the 2014 Latino Decisions and Asian American Decisions election eve polls, 55 percent of Latinos and 56 percent of Asian Americans reported they were not contacted about voting. People vote, in large part, because someone asked them to. We as a nation rely largely on political campaigns and parties to contact voters and encourage them to participate. But campaigns have limited resources. They can’t reach everyone, so they have to pick and choose. And they choose to reach out to “likely” voters, that is, those with a history of voting in recent elections. One city council candidate in Boston relayed a story to me about how she wanted to knock on the doors of a low-income, Asian American community in her district. Her campaign manager objected, telling her that she only had so much time and she could not waste it knocking on the doors of folks who are unlikely to vote. She had to focus the campaign’s time and money on other communities and voters who have a stronger history of voting. That’s the basic economics of a political campaign, and it’s hard-wired into the system. The result is a negative feedback loop where people are not contacted, so they don’t vote. Because they don’t vote, campaigns allocating limited resources don’t contact them. They are not contacted, so they don’t vote. Round and round it goes, in a self-perpetuating cycle. This is where nonprofits can make a big difference. Unlike campaigns, our goal is not to win any particular election, but rather to advance our respective missions. Our success in doing that depends in part on a constituency that is turning out and voting. Additionally, many of us have missions that tie in closely with the goals of nonpartisan voter engagement, such as strengthening communities, developing leadership, and helping people reach their full potential. In addition to having missions that are more aligned with the goal of nonpartisan voter engagement, nonprofits also have deep roots, trusted relationships, and cultural competency to engage the communities they serve. This understanding drives Nonprofit VOTE’s work to harnesses the civic reach of nonprofit CBOs (community-based organizations) and human service providers such as health centers, food banks, and family assistance centers to engage the communities they serve in voting and elections. Taken together, service agencies have personal contact with over 100 million people annually, including their clients, staff, and local communities. We know this work is having an impact. Last year, we released a report entitled, “Engaging New Voters: The Impact of Nonprofit Voter Outreach on Client and Community Turnout,” in partnership with CIRCLE at Tufts University. The report examines the impact of nonprofits doing voter engagement on their constituents’ likelihood to vote. The first key finding was that, as nonprofits, we are very effective at reaching communities overlooked by political campaigns. Over half the voters engaged by nonprofits were “low propensity” voters, i.e., voters not expected to vote in the 2014 midterm, and thus never or rarely contacted by political campaigns about voting. Compared to other registered voters in the same study states, those contacted by nonprofits were three-and-a-half times as likely to have incomes under $25,000, twice as likely to be under 30 years old, and four times as likely to be new American voters—Latino and Asian American. The second key finding of the report is that once contacted by nonprofit staff and volunteers about voting, these prospective voters turned out at higher rates than other registered voters across all demographic groupings. These increases were largest among those least likely to vote. We reach the right people, and when we engage them, we can make a big difference. But to do so, nonprofits need help. That’s why Nonprofit VOTE has put together a wealth of resources, from free webinars to our new online guide, to equip nonprofits with all the tools they need for an effective nonpartisan voter engagement campaign, candidate forums, or get out the vote drive. These resources address basic guidelines for 501(c)(3) nonprofits like the importance of remaining nonpartisan in all of your voter engagement work, lessons learned about the tactics and strategies that work for nonprofits doing voter engagement, and more. Recent history shows there is hope. We don’t have to accept voter participation gaps as a permanent feature of our political system. While it has not been widely reported, a dramatic transformation has taken place in recent decades between Black and White voting rates. Turnout rates in the Black community once lagged far behind Whites, but that has changed in the past three decades. Census data shows that Black turnout actually exceeded White turnout in the 2012 presidential election, while Latino and AAPI turnout continued to lag far behind. To be clear, it’s not just the Obama effect. The gap was narrowing long before Obama’s historic 2008 race and it’s still strong relative to White turnout in mid-term years when Obama was not on the ballot. In the last mid-term of 2014, Black voter turnout fell slightly behind White voter turnout, but still far ahead of Latinos and Asian-Americans. Decades of work in the African American community, often led by churches and community groups, have paid off. Things do change. As nonprofits, we can help lead the way! Brian Miller is executive director of Nonprofit VOTE, which partners with America’s nonprofits to help the people they serve participate and vote. Nonprofit VOTE is the largest source of nonpartisan resources to help nonprofits integrate voter engagement into their ongoing activities and services.